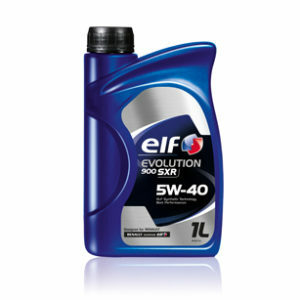 A synthetic Low SAPS engine oil specially formulated to meet the technical requirements of vehicles manufactured by BMW, Mercedes-Benz, Volkswagen and Hyundai Kia. 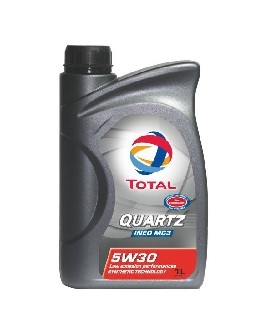 * TOTAL QUARTZ INEO MC3 5W30 complies with the latest ACEA and API international standards and meets the requirements of the most demanding automobile manufacturers. * This 5W-30 grade lubricant is suitable for the most severe conditions of use (door-to-door, sports driving, repeated start-ups, city and motorway driving). * Its special formulation resists the most extreme variations in operating temperature. It is particularly well suited to all recent multi-valve engines equipped with turbochargers and direct injection. * Its Low SAPS technology (low content in Sulphated Ash, Phosphorus and Sulphur) makes it the lubricant of choice for optimal operation of the latest-engine generation equipped with anti-pollutant devices. * QUARTZ INEO MC3 ensures optimal functioning of three-way catalytic converters and particulate filters, which lower emissions of NOx, CO2, CO and particles and ensure compliance with performance levels announced by manufacturers and Euro V environmental standards. * Extends the service life of post-treatment systems by preventing DPFs and three-way catalytic converters from clogging and filling. * Its excellent resistance to temperature variations guarantees the longevity of engine parts and optimal performance level under all circumstances. * Satisfies the most demanding manufacturer service plans by permitting extra-long oil change intervals.